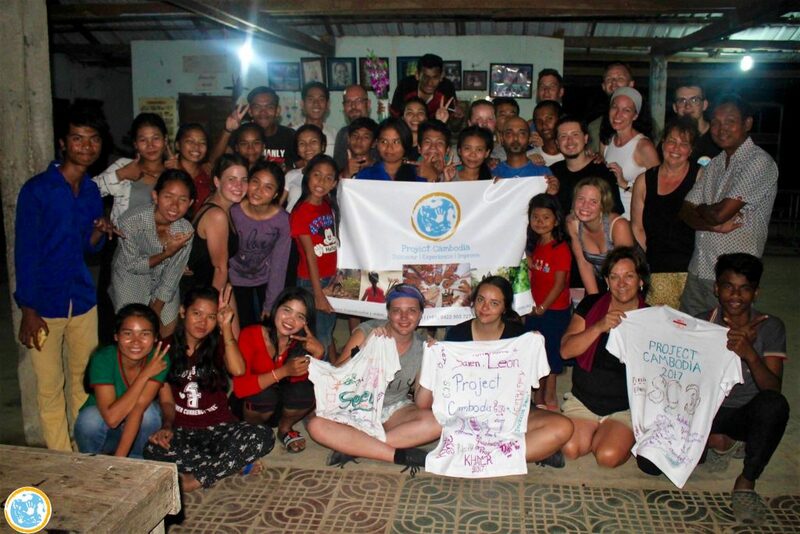 In March 2018, we begin looking for more volunteers to join us on our next ‘Raw Cambodia’ volunteer project in February 2019! If you’re interested then please check out our ‘Volunteer page for more information. Since February 2018, Project Cambodia have taken part in three rice donations throughout poor communities in the rural areas of Cambodia. We’re proud to announce we’ve now contributed to 126 families, and donated a total of 3,775kg throughout 8 villages. To ensure our projects are fair and responsible, we’ve been working along side experienced locals and provincial appointed commune and village leaders to make sure we are only giving to those people who need our help. These rice runs are an incredible endeavour to be a part of. We make sure to work covertly when searching for the families, which ensures we won’t create any jealously or negativity. In fact, it’s only briefly before we arrive with the rice, is when the families themselves find out they’ll be receiving a donation. Being part of a rice run is a wonderful gift, extremely hard to define. However, they have the power to feed families for up to two months, and they also have the power to bring different people together, regardless of a language barrier. The true community spirit of compassion is enough to endlessly inspire, and that has been a welcoming surprise for our team. Rice costs approximately 2,100r per kg (approx. 75c AU). This project provides the financial relief of a basic necessity for over a month. 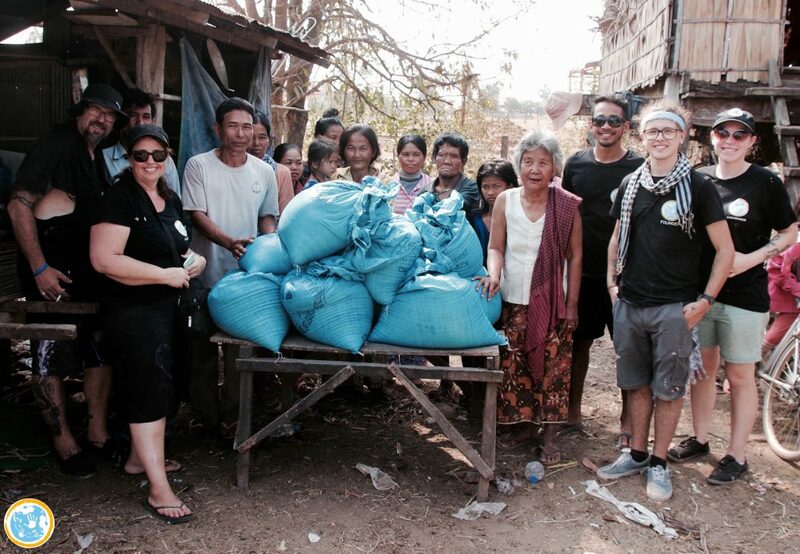 Project Cambodia exist not to change lives, but to empower, provide opportunity and simply help where we can. We couldn’t be prouder to be a part of lending a hand to those who need it most. Project Cambodia first made contact with Kratie in 2016, where Leon travelled through to find the best places we could make an impact. In 2017, 15 volunteers returned with Leon to Orussey Village where they would teach recycling workshops. After a successful mini-project, a team of six returned to the village and rebuilt KES in 2018. That was it for us, Kratie is where we’re going to grow our roots. With the help of a work opportunity, Leon has moved to Kratie where we’re able to be better involved with any projects we wish to conceive, or collaborate. Now it’s time for us to show the world what we’re truly capable of…After living in Kratie for five months, Leon began searching for the next chapter. After looking too far, by accident we found a nearby school. What we found was a place we could really see a future with, Dolphin School of English. We’re pleased to working for Dolphin School of English, where we can join our networks and let the world know about the great work Mr Yuth has already achieved. 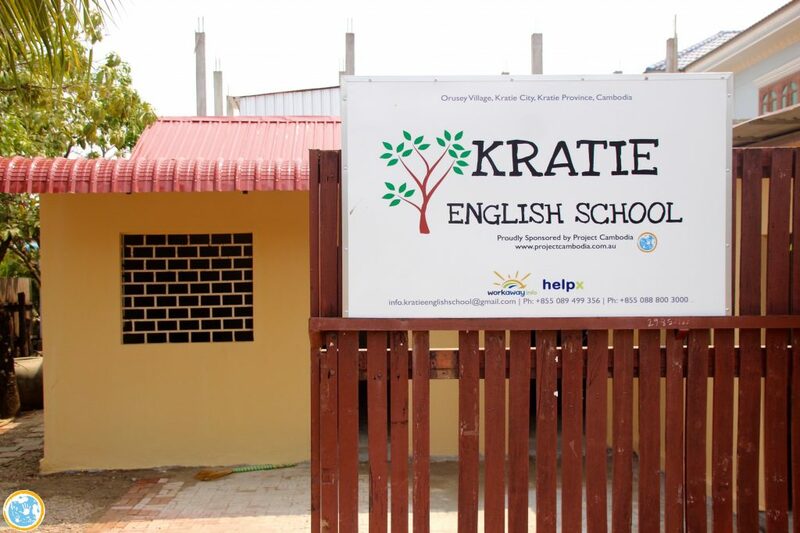 In March 2018, the team completed building the brand new Kratie English School. Our goal was to build a stronger structure, better for standing the test of weather, where English can be taught all year round. It was a pleasure to hand they keys over to Mr Rith and his volunteers, to carry on this new chapter of the school and give a number of children access to English. Building this school was a great experience to be part of. We love that it gives access to an extremely handy skill to those who need it. We look forward to seeing the future Rith and his volunteers have in store for it. All the best!